Gabrielle brings a wealth of experience and expertise in surgical and nonsurgical procedures within the cosmetic industry. She will be an integral part of our surgical patients’ care with Dr. Pan and will also provide her impeccable skill and expertise to our cosmetic patients. Her ability to assess, restore, and reverse signs of aging follow Dr. Pan’s philosophy of effective age prevention while maintaining exceptionally natural beauty. Gabrielle has over ten years of experience as a Surgical Physician Assistant, the majority of which have been spent in the field of plastic and cosmetic surgery. Gabrielle received her undergraduate degree with honors from The University of Michigan and received a masters in Health Sciences and Physician Assistant Studies at The George Washington University. She also completed the Norwalk/Yale PA Surgical Residency Program where she was recipient of the Yoichi Katsube Memorial Award for exemplifying diligence, integrity, and surgical ability. 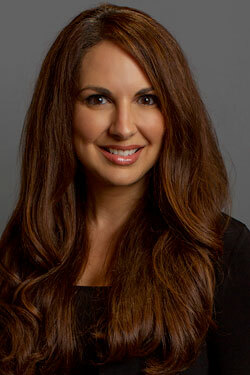 Gabrielle has established an excellent rapport with her patients and is viewed as a top provider in her field. Gabrielle’s goal is to provide her patients with confidence in their own beautiful skin, while delivering compassionate care and highly sophisticated results. No expiration, new patients only.